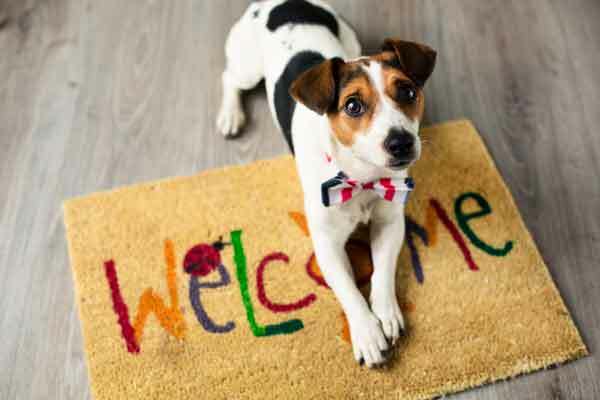 When you have pets and you are trying to sell your home there are a few ways that you can avoid your pets ruining your home sale. Many times folks love animals but that doesn’t mean they want to see evidence of your pets in your home when they are trying to envision themselves living there. Below are a few ideas on how to not let your pets ruin your home sale. Vacuuming your home is a great idea before you have someone tour your home for a showing but it is essential if you have pets. Pet hair and tufts of fur can find their way into your guest’s noses and faces if you aren’t careful and that is not going to be good for your potential sale. If you have someone who happens to sit on your furniture during their home tour you don’t want pet hair to get all over them. A good way to insure that this doesn’t happen is to run a damp sponge over the furniture before they arrive. As you already know pets are bad about leaving little surprises for you on your floors especially if you are gone during the day. Pet stains are not a welcomed sight to anyone that might be interested in buying your home. Think about it, would you want to see someone else’s pet mess when touring a home? I think not. Do your best to remove any types of these stains before your potential buyers come to tour your home even if you have to spend some money to get things cleaned and stains removed by professionals. Pet odor is another thing that can ruin a potential home sale. You are likely use to the way your pet smells and may not even be aware that they have an odor but they do. Those folks who may come to tour your home will likely be able to smell it as soon as they enter the house. Spraying odor neutralizing sprays can help with pet odor as well as perhaps having just baked some cookies for your guest to enjoy. Whatever you have to do to get rid of the odor is what you need to do. If your pet has a bed in your home it is best to stick it in the closet or to remove it from the home before your home tour begins. These are just a few ideas on how to not let your pet or pets ruin your potential home sale. Hopefully they will get you thinking in the right direction so that you may be more able to walk away with an offer. The best quarterly sales pace of the year pushed available housing supply to record lows and caused price appreciation to slightly speed up in the final three months of 2016, according to the latest quarterly report by the National Association of Realtors®. The report also revealed that sales prices in over half of measured markets since 2005 are now at or above their previous peak level. For all of 2016, an average of 87 percent of measured markets saw increasing home prices, up from the averages in 2015 (86 percent) and 2014 (75 percent). Of the 150 markets NAR has tracked since 2005, 78 (52 percent) now have a median sales price at or above their previous all-time high. Lawrence Yun, NAR chief economist, says home-price gains showed little evidence of letting up through all of 2016. "Buyer interest stayed elevated in most areas thanks to mortgage rates under 4 percent for most of the year and the creation of 1.7 million new jobs edging the job market closer to full employment," he said. "At the same time, the inability for supply to catch up with this demand drove prices higher and continued to put a tight affordability squeeze on those trying to reach the market." Existing-home sales in the South increased 2.6 percent in the fourth quarter and are 5.4 percent higher than the fourth quarter of 2015. The median existing single-family home price in the South was $210,500 in the fourth quarter, 7.9 percent above a year earlier. Midtown Montgomery real estate sales statistics for January 2016 show the number of homes sold fell by 28.1% when compared to January 2016. 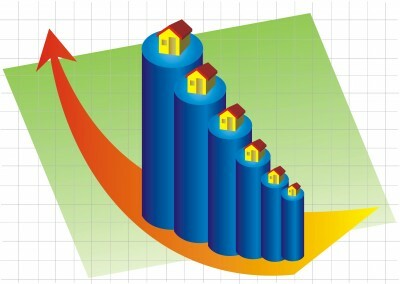 The average sales price increased by 5.9%, while the median sales price decreased by 7.8%. Market times fell by 19 days. De-cluttering any room in your house can sometimes feel like a huge job to take on but for some reason de-cluttering the bathroom can seem to take on a whole life of its own. Truth is there are many items in our bathrooms that we no longer use. Take an hour or so to go through your bathroom with this list of tips for de-cluttering. The first tip to de-cluttering your bathroom is to do what was just mentioned, take the time to go through your entire bathroom looking for items you no longer use. 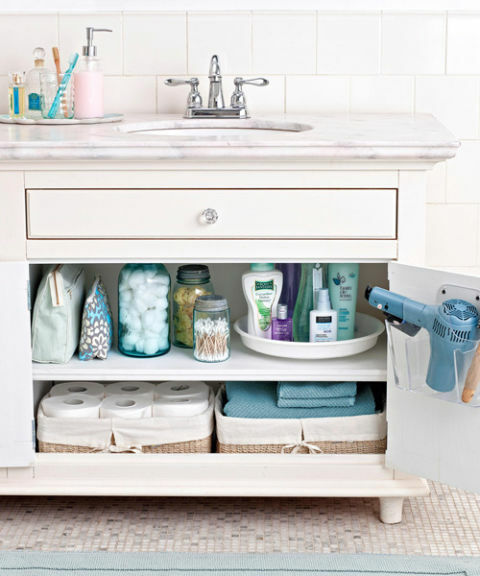 If you haven’t used an item in the past week you should consider either getting rid of the item or at least finding a spot for it that will help to cut down on clutter in the bathroom. Another tip for de-cluttering your bathroom is to throw out old toothbrushes. Some folks may not know this but you are supposed to change out your toothbrush once every three months to keep it from forming bacteria. If you want to keep your old toothbrushes you could do so and perhaps use them as cleaning tools in other areas of the house. You might find that they are good for such things as cleaning in between tiles and other small areas that you can’t otherwise reach. Take a look in your bathroom medicine cabinet when de-cluttering your bathroom. If you find medications that have expired, go ahead and toss them in the garbage right away. Another tip for de-cluttering your bathroom is to toss out any old makeup or nail polish you may have stored away in a drawer. Old makeup and nail polish will not work like it is suppose to so there is no use to keep it around. If you have a lot of half empty shampoo and/ or conditioner bottles laying around your bathroom you can use what is left in them to refill your soft soap container. Throw out all the old bottles once you have used their contents to help de-clutter your bathroom in a great way. If you have a lot of hotel soaps, shampoos etc, why not toss them into your gym bag and use them there to help make your bathroom less cluttered. De-cluttering your bathroom is quite simple really; you just have to take the time to do it. Once you do, I am sure you will like the clean fresh feeling you have as a result.